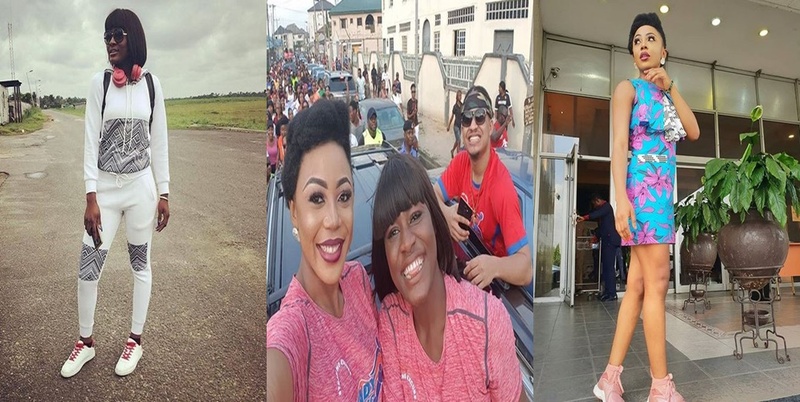 Former big brother naija housemates, Ifu Ennada, Alex and Rico are currently in Port-Harcourt, Rivers State as they are set to host some shows. 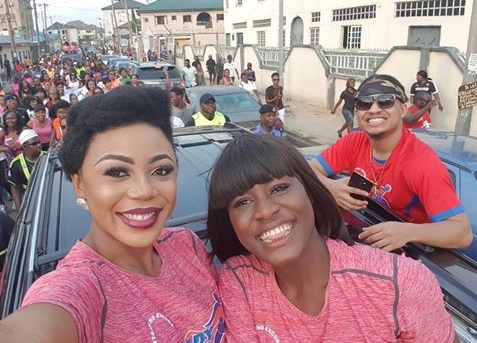 They all had fun as they took part in a walk of peace around the city and shared some pictures on social media. 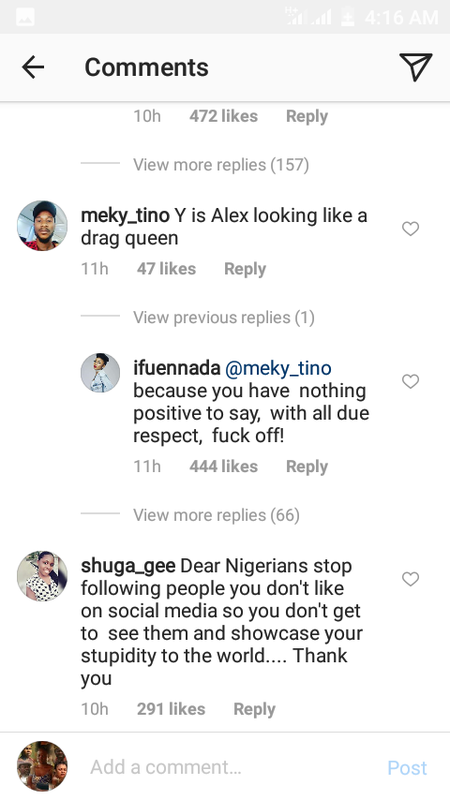 Ifu Ennanda and Alex however came under fire by some fans who called them out. 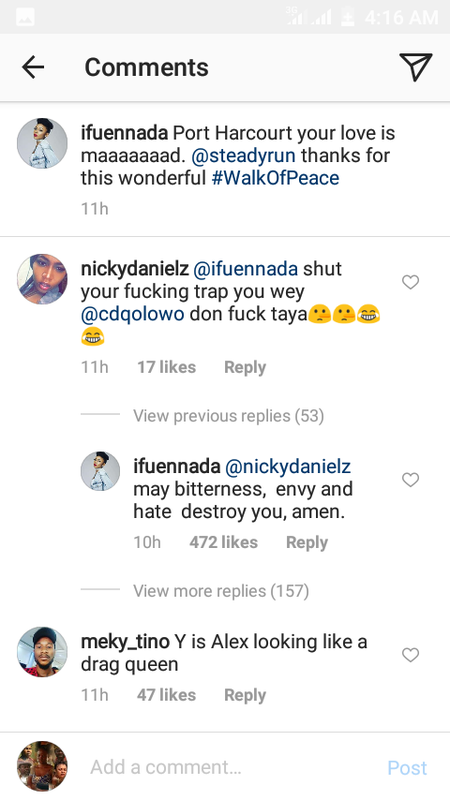 A particular fan in her comment asked Ifu to shut up because of her drama with rapper CDQ, While another asked why Alex looked like a drag queen, well Ifu-Ennanda was on duty as she promptly replied them in kind. 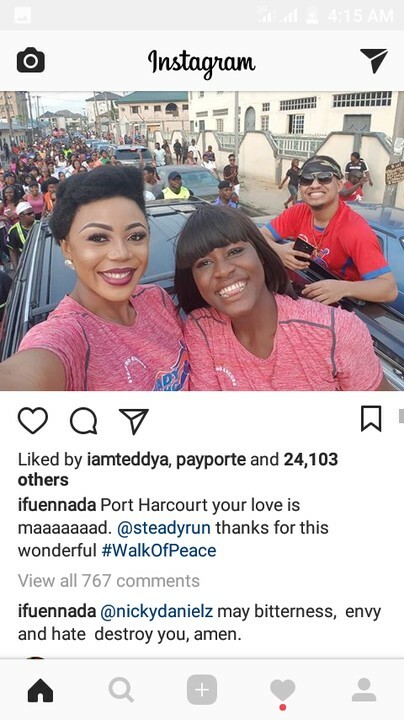 0 Response to "Ifu Ennada Claps Back At Non-Fans Who Insulted Her & Alex"